A flashlight is a tool you think you don't really need it until you realize that you actually need it. Whether a hunter, a camper, a fireman, policeman, etc., finding your way in the dark has never been easier. Except for illuminating your way and the vision in the dark, tactical torches can also serve you as the perfect self-defense tool which is why they are designed to be durable. These days you can choose from a wide range of tactical torches ranging in type, size, durability, and battery longevity which will surely ease your buying process. 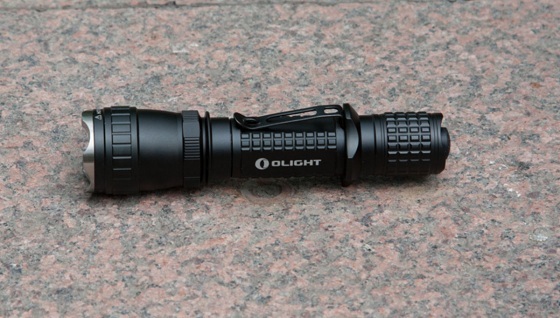 One of the mainly used material for designing tactical flashlights is aluminum, but you can also find flashlights made out of anodized aluminum, as well as plastic. When compared to plastic, aluminum is more durable and light, however, you won't be wrong if you choose flashlights made out of anodized aluminum. One thing is certain, all of these materials are great, just make sure you choose a durable and lightweight one so you could carry it around for extended periods of time. When it comes to the lumens, the more - the better as that way more light it will be produced. For example, if you need a flashlight for long-distance lighting, you should choose one that has at least 200 to 300 lumens. For self-defense you can use one that has 500 lumens. Regarding the batteries, tactical flashlights need a lot of energy in order to function the right way. Generally, there are two types of batteries to choose from – disposable and rechargeable wherein the rechargeable ones are a better option as they can last for a longer period of time when compared to the disposable ones. In case you choose disposable, you will need to have plenty of them for replacement. The main downside of the rechargeable ones is that they require an electric plug to be charged, so if possible, we suggest you to invest in both a set of rechargeable and a set of disposable batteries. All in all, there is a large selection of tactical LED flashlights to choose from, and when it comes to the choice, you will need to consider all of the aforementioned things in order to make the right choice and get the most out of them. When it comes to the buying part, you should also choose a reputable seller in order to be sure that you will get the best of both worlds quality and affordability.